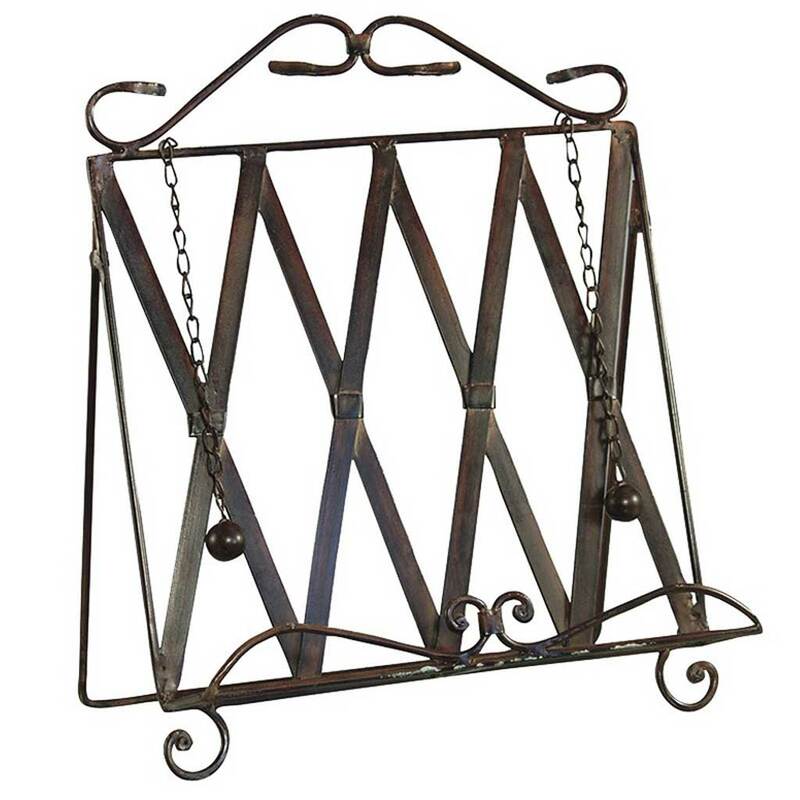 Decorative metal cookery book stand. 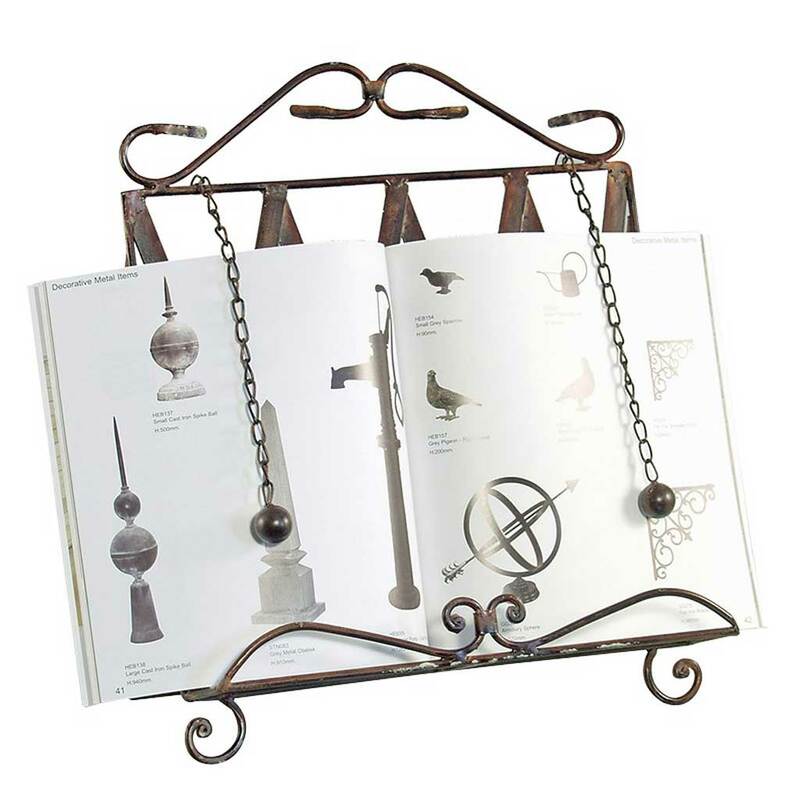 Great for keeping your recipe books open and neatly in place. The stand has 2 chains with toggles to lay over the recipe pages to keep them open and flat for easy viewing.